MIDLAND, MICH. – Three Rivers Corporation has earned the Associated Builders and Contractors National Safety Excellence Award. The award recognizes Three Rivers for its exemplary safety performance and programs during 2015. 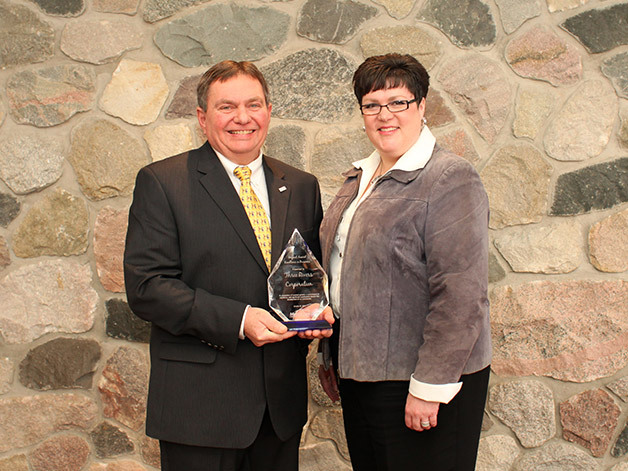 This award demonstrates that Three Rivers Corporation is dedicated to working safe. The ABC National Safety Excellence Awards recognize companies who exhibit a continued commitment to jobsite safety and whose safety performance and programs are judged to be exemplary by the ABC National Environment, Health & Safety (EH&S) Committee. Awards are based on data submitted via STEP applications, essay questions and video interviews with company Presidents/CEOs/Principals about their corporate safety culture. Award categories are based on a company’s total work-hours per calendar year and placement within the North American Industry Classification System (NAICS). This is Three Rivers’ seventh time winning this award since 2000. You are only eligible to apply for this award every other year. “This is an honor to receive an award like this, we are proud of our work force and their dedication to safety and to “Walk the Talk” when it comes to safety performance.” said Paul Crivac, Three Rivers Corporation Safety Director. Paul indicates that reduced injuries reduce construction costs, improve employee morale and improve productivity. Three Rivers Corporation outperformed contractors from around the nation to win this prestigious award and were the only company honored from Michigan in any category. To qualify for a Safety Excellence Award, a company must first demonstrate the highest levels of performance – Platinum – in ABC’s Safety Training Evaluation Process (STEP). Prerequisites include an Occupational Safety and Health Administration (OSHA) recordable rate that is below the national average and performance that is clearly “a step above” in 20 key safety program components. Three Rivers Corporation has re-emphasized their safety program by branding the “Walk the Talk” slogan to help keep their workers focused on the highest safety performance. “Safety isn’t just a state of mind. It’s a way of life at Three Rivers. We ask our employees to Walk the Talk every day.” said Dan Kozakiewicz, Three Rivers Corporation President and CEO. That way of life revolves around a 10-point safety program, constant evaluation and implementation of new processes designed to reduce injuries. ABC formally recognizes Three Rivers for its excellent safety programs and performance at the ABC 26th Annual Excellence in Construction Awards in Ft. Lauderdale, FL., on March 2, 2015.